Summer is fast approaching and with it the urge to get out on the water, whether that water happens to be a lake, river or the ocean, and take advantage of all that mother nature has to offer. The best way to do that is with a boat, if your budget can afford it, and today’s blog will help you to do just that and purchase a boat that fits your budget. Enjoy. 1) Your very first task should be to visit a large boat show. Boat shows are truly the best place to see a large number of different types and styles of boats, as well as different sizes, so that you can see all of the different prices, options and so forth. Having all of this information will allow you to make a much better decision on which boat/engine combination to purchase. A boat show is also an excellent place to meet lots of boating experts who can guide you in your decision. 2) Take your time. A boat is a large and expensive purchase and something you will likely have for many years. If you take care of it well, you may also be able to pass it onto your children. Point being, take your time making a decision on what type of boat to purchase so that you’re satisfied with that decision for the next few years (at least). 3) If you’re new to boating, definitely look into taking a boating safety course. The simple fact is this; while it might steer like a car, a boat handles much differently than an automobile and, if you don’t know how to handle it correctly, you could easily cause an accident or worse. 4) Keep in mind that their are a lot of additional costs when it comes to owning a boat. If you don’t have somewhere to keep it, you will need to either rent a space in a storage lot or a “slip” at a marina, both of which are relatively expensive monthly costs. Also, if you purchase gasoline from a marina, you can expect the price to be at least 30% higher than at your local gas station. Boating accessories like water skis, fishing rods, life jackets and so forth also will add to the cost, sometimes significantly. 5) If possible, take a test drive. Referring back to #2, a boat is something you will hold onto for many years. That’s why, whenever possible, you should definitely take it out for a test drive to make sure that you like the way it handles before you make your purchase decision. And there you have them, 5 excellent tips that should help you to make the right decision when on a new boat. We wish you happy and safe boating! changes. Here are some ways to save on gas and drive more efficiently. Keep the vehicle properly maintained. The upkeep of a vehicle has a direct impact on its fuel consumption. If the spark plugs are beginning to wear down, the combustion of the fuel will not be as efficient. A worn oxygen sensor can also cause a vehicle’s gas mileage to plummet. Gas mileage tends to decline when traveling at speeds in excess of 55 miles-per-hour. Lowering your average highway speed from 70 mph to 60 mph can improve gas mileage by up to 15 percent. Maintain the optimal tire pressure. Each day, thousands of motorists will hit the road on a set of under-inflated tires. The increased friction against the pavement forces the engine to expend more energy. Always remember to check the tire pressure while the tires are cold. Many drivers unnecessarily punch the gas pedal upon accelerating. If the tachometer gauge rises past 3000 rpm, this is a good indication that too much pressure is being applied to the accelerator. 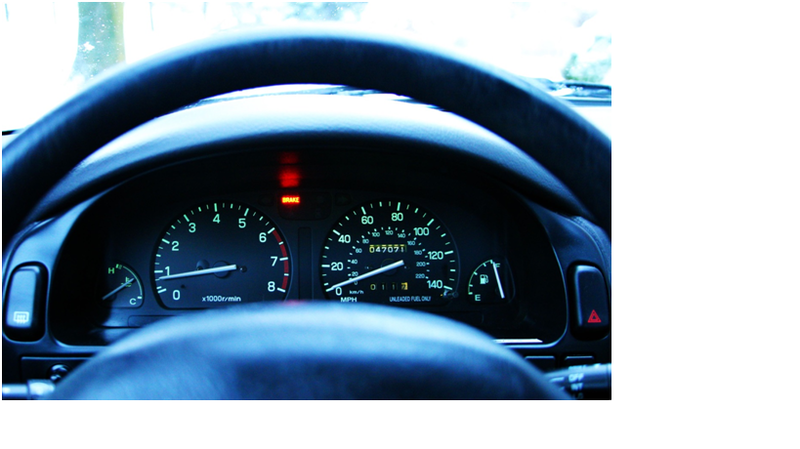 When accelerating, try to keep the engine speed between 2500-3000 rpm on the tachometer. Instead of racing from one stop light to the next, allow the vehicle to coast to a stop. This task can be accomplished by simply releasing your foot off the accelerator. The momentum will enable the vehicle to roll without using any fuel. The key is to always be looking ahead for slowing traffic. Consider public transportation and walking. Although there is nothing wrong with owning a fuel efficient Toyota Corolla, try to limit the use of your vehicle as much as possible. If your destination is not within walking or biking distance, feel free to take advantage of the public transportation system. Public transportation is very affordable. When taking the train or bus, the risk of being involved in a traffic accident also declines. Since gas prices don’t appear like they’re going to drop any time in the near future, we’ve put together another list of fuel saving tips as well as a list of fuel saving myths, both of which should help you to make better choices and save money when filling up your tank. Enjoy. Make sure to close your gas cap correctly. Nearly 20% of all vehicles on the road have gas caps that are damaged, not closed correctly or even completely missing. This results in a whopping 147 MILLION gallons of gas lost to vaporization every single year. On a personal level, gas cap problems result in a two mpg reduction in your car’s fuel efficiency, so make sure they are on and working correctly. Use the lowest fill setting when filling your tank. In many cases, because the gasoline is rushing in too quickly, backsplash or overfilling happens and the result is lost gasoline. Don’t top off your car’s fuel tank. Simply put, once the fuel pump clicks off your tank is filled. Filling it up further to round out the dollar amount could cause your gasoline to spill out when it warms up as well as saturating your emission system with fuel. Inflate your tires correctly. Underinflated tires can waste up to 3% of your gasoline. Make sure you check your tires on a regular basis. Use the correct type of tire. If, for example, you have mud and snow tires on your car to get you through the winter, you should definitely remove them once the winter weather has ended as the wider tires will generally reduce your gas mileage. Check and change worn spark plugs often. A dirty spark plug or one that is badly worn will cause your car to misfire and waste fuel. Every time you get your oil changed you should have the service technicians check your spark plugs to make sure that they are clean and firing correctly. Maintain your air filter. Just like worn spark plugs, a dirty or clogged air filter will inhibit air from getting to your engine and waste fuel as well as reduce engine power. Simply replacing a clogged air filter has been shown to improve a car’s MPG by nearly 10%. One thing to keep in mind however is that newer vehicles with fuel injection that is computer-controlled will have sensors to automatically adjust for the amount of air that’s reaching the engine. Make sure your oxygen sensor is functioning correctly. If it’s worn or not operating, you may well see a decrease in nearly 3 miles for every gallon of gas you use. Change your motor oil regularly and use the best for your type of driving. Your automobile technician will be able to help you with knowing the proper oil to use but, suffice to say, changing your oil regularly is very important if you want to save money on gas. Fuel saving myths to ignore and avoid. 1. Myth. It’s best to fill up your car in the morning, especially during hot weather. The fact is, since most gasoline is kept in large, underground tanks its temperature is fairly constant as well as its expansion. Filling up in the morning, afternoon or evening will not affect the amount of gasoline that you get. 2. Myth. High octane fuel will always provide better MPG. The fact on this one is simple; today’s modern vehicles allow their engines to run on octane levels that are lower than premium without any harm to the car’s engine or reduction in mileage. Unless you have a high-end sports car or luxury car, regular gas is just fine and will save you up to 30% off of the cost of premium. 3. Myth. All gas from all gas stations is exactly the same. In most cases this would be a true statement except for a type of fuel called ‘slop’. Slop is a combination of different fuel types that’s created after fuel is transported in the same pipeline, including gasoline, diesel fuel, jet fuel and more. It’s considered a much lower grade of fuel and sold to discount gas stations. If you purchase premium from these stations you’re getting nothing of the sort and even regular might not be as good as the regular at a name brand station. 4. Myth. Fuel additives can improve your car’s fuel economy. While these additives, including octane boosters, fuel line antifreeze and others, may indeed improve your vehicle’s performance, there are no studies, whether performed independently or by the EPA, that have ever shown them to improve fuel economy. We hope that these tips and myths about fuel economy will help you to save a few bucks the next time you fill up. If you have any questions about fuel economy, personal finances or other financial topics, please let us know and we’ll get back to you with options and answers. What’s the deal with fuel efficient, low rolling resistance tires anyway? Fuel-efficient tires aren’t new to the market to be sure but, as far as being able to purchase them at your local tire shop, they are definitely something new. The reason that they are new to tire shops is easy to explain as well as rather interesting; while automobile manufacturers have long been installing fuel-efficient tires on their new cars, replacing those tires when they are worn out with the same fuel-efficient tires hasn’t been possible until recently because tire shops simply didn’t sell them. Anyone looking to purchase the same, exact tires that came stock with their automobile were out of luck and forced to purchase tires that, while okay, certainly weren’t as good as the tires that came stock. That’s recently changed however as tire manufacturers have realized that, in order to increase their gas mileage, consumers all over the country have become keenly interested in purchasing fuel-efficient tires in order to reduce their gas consumption as much as possible. That realization caused tire manufacturers to start offering low rolling resistance tires in tire shops all across the country. A fuel-efficient tire is simply a tire that has the aforementioned low rolling resistance, a forced that can be measured at the car’s axle in the direction that the car’s traveling. The less force that tire requires to roll forward the better, and fuel-efficient tires basically have much lower rolling resistance than many of the tires previously found in tire shops. Low resistance tires have been designed using powerful programs that have given them new types of tread design and they’re being made with newer materials that help your automobile to minimize the amount of energy that it needs to move itself forward, thus lowering the amount of gas your automobile uses. Fuel-efficient tires will definitely cost you a little bit more than standard tires but, when you consider that they can reduce the amount of gasoline that your car needs by up to 10%, the savings alone could add up to enough that it pays for the extra cost of the better tires. Since the average set of tires will last about three years, that’s at least a full two years benefit that you get from the tires once they have been paid off. A recent report released by the National Research Council showed that, by reducing rolling resistance by 10%, you could increase a car’s fuel economy by 1.5% during city driving and just over 2% while driving on the highway. Depending on how much you drive that could actually mean a substantial yearly savings on gasoline. To take advantage of these gas improving facts, tire manufacturers like Cooper, Michelin, Goodyear and Continental all are now offering low rolling resistance tires in tire shops far and wide. While the savings in gasoline might not be tremendous, if you combine low rolling resistance tires with hypermiling techniques, a smaller, more fuel-efficient automobile and less frequent use of your auto, the overall savings could be substantial. So, if your car’s tires are in need of replacement and you’re keen on keeping your cost at the gas pump as low as possible, purchasing low rolling resistance tires to replace your old, worn-out tires is certainly a great idea if you have questions about increasing your car’s fuel economy or you’d like to leave a comment about this blog, please do and we promise we’ll respond to it ASAP. Before you pack up the car and the kids to go to a specific stop, shop, business or restaurant, make sure that you know the hours that they’re open. There are few things worse than making a long drive crammed in the car with a bunch of excited kids only to find out that it’s closed when you arrive. (Trust us, we know.) Do yourself a favor and call ahead to wherever it is that you want to go and save yourself a lot of gas and a big headache. Most newer smart phones have a GPS navigation system built-in, something that you should definitely use if you’re going somewhere for the first time or somewhere off the beaten path. If you don’t have a GPS system, make sure that you either have directions that are well written or a map of your destination. Remember how we said that getting somewhere and it being closed was the worst thing that could happen? Going somewhere and getting lost four hours (or days!) along the way is almost as bad. If you’re going to be making a large purchase, like a new car, appliance, furniture and so forth, do as much research online as you can before getting in the car. You may very well find the best price ahead of time and only have to go to one store or one dealership rather than several, saving time and gas in the process. Even better, there are several apps available that will tell you exactly where the best price to be found on your particular item is located. In many cases, it may be through an online retailer, eliminating the need to use your car at all. Unless you have to be somewhere at a specific time, try to avoid driving during peak hours, when the chances that you will get stuck in traffic are much greater. This will save you gas and also a lot of frustration. If you have several errands that you need to do, or several places to bring the kids, try and do them all in one big trip rather than making several smaller trips. If you’re going to do this, think about where you need to go ahead of time so that you can also plan out the best, shortest route. Since the kids are out of school and have tons of pent-up energy, if you have biking trails or safe biking routes in your town it’s definitely the time to use them. If it’s safe for you to accompany your children on bicycles to local stores and shops even better. If the only car that you have is a large SUV or truck you may wish to consider renting a smaller vehicle if you’re going on a long trip. Unless you actually need the space, a smaller car will almost always get better gas mileage and may even save you enough to actually pay for the cost of the rental car itself. Carpooling is one of the oldest money-saving tips there is but here’s a new take on it; moms carpooling with the kids. If, for example, you and your neighbor were both planning on going to the local water park, you could drive together, have a nice conversation along the way and save a little bit of gas in the process. Unless you are using them almost every day, get rid of any bicycle racks or luggage racks that you have on the roof and even on the trunk of your vehicle. These can cause a tremendous amount of extra drag and actually decrease mileage by up to 5%. In some areas of the country where there is a lot of snow, people place bricks or bags of sand in their cars for better traction. Well, it’s summer now, so get rid of that extra weight as well as any other stuff that you have in your car. The lighter your car ways, the less gas that will use, it’s just that simple. When starting your car, especially in the summer when it’s hot, make sure that all of your electric devices are turned off, like the radio, air-conditioning, cell phones and so forth. This puts less of a strain on your engine and thus causes it to use less gas. While the joy of having a sunroof or a rag top are great, realize that having either one open is going to cause a lot more drag and use more gasoline. With that we’d like to wish everyone a happy summer and safe driving. We hope that these tips have been useful and that will save you lots of money, headaches and of course gasoline all summer long. Make sure to come back and visit us again soon for more tips, advice and ideas about all subjects financial. See you then. Hello and welcome back for part 2 of our 3-part gas saving tips blog series. Many of the tips that we talked about in part 1 should already have helped you to save a little bit of money on gas, increase your MPG and get your car into tiptop shape for all the summer driving to come. We hope that you found some of them useful and that you will find some of these next tips useful as well. Enjoy. Avoid overusing your brakes at stops. This ‘hard stopping’ not only wears down your breaks faster but also means that you’re using more gas than necessary when instead you should be using your car’s forward momentum. You’ve already used gas getting your car up to speed and, especially when you’re in stop and go traffic, let the force that you’ve already paid for move your car along rather than giving more gas and hitting the brakes more often. Many people have a bad habit of using their left foot to ride the brake pedal, especially when they are in stop and go traffic. Like the tip above, riding your brakes is extremely damaging, a waste of gas and actually a dangerous way to drive. At driving schools everywhere they teach people to only use their right foot when driving. The reason; it safer. Not paying attention to the road is not only dangerous but, because most people will tend to weave more, they’re using more gas. These days everyone is being told not to text, not to talk on the phone (not to do their nails) and other activities while driving because it’s dangerous. Knowing that it will also cost you more gas, you have more reasons than ever to pay attention when you’re on the road. The tendency to accelerate when going up a hill is very common but it also uses quite a bit more gas. The best way to get over a hill, unless it’s extremely steep, is to build up speed as you approach it, maintain your speed on the way up and then save even more gas by coasting on the way down. If you live in a major metropolitan area, and the majority do, make a habit of checking local traffic reports either before you leave or while you’re on the road. This will allow you to change your route (or change your plans) so that you don’t have to sit in traffic hours, wasting time and gasoline. Here’s one that you might have heard before. (And if you haven’t, turning your driver’s license right now!) Accelerate from a stop at a moderate and even pace. In other words, jackrabbit starts are a no-no. Be aware that accelerating too slowly can be a problem as well because your engine is in a lower gear and using more gasoline to push your car forward. When driving around town, try and stay below 40 mph as, above this speed, the amount of wind resistance that your car will be facing increases tremendously and, when that happens, your MPG decreases. In most metro areas, unless you’re on the highway, driving 40 on a major road should be fine. If you’re going to be making a stop for more than 30 seconds, turn off your car completely. This has two benefits; you’ll save gas and save the planet. We can’t think of two reasons any better than those. If you’re driving about 45 mph you should definitely close the windows completely, or open them only slightly because the extra drag this causes can reduce your mileage by over 10%. Depending on where you live and the type of weather that you get, using the air-conditioning may actually be more economical than leaving the windows down. We hope that you agree that those are some excellent tips. Most of them you can start using right away and start saving right away as well. Make sure to come back and join us for part three very soon. See you then. Wit summer time finally here many people are planning on picking up the car and going on a long vacation. Of course, with gas prices extremely high those same people are looking for ways to save money and reduce gasoline costs as much as possible. With that in mind with put together a three-part series of blogs on some of the best gas saving tips that we know of. Enjoy and have an excellent vacation! Here are a few questions that you need to answer before you even start your car’s engine. When was the last time you had your car tuned? A car that’s out of tune can use up to 20% more fuel so make sure that, before you head out on the road to Disneyland, the Grand Canyon or wherever else your summer travel plans may take you, you bring your car in to your local garage and have them check everything out. When your car is being tuned, ask your mechanic to check for problems with your suspension, your chassis and your front end alignment. Shocks that are old and worn, broken springs, wheels or axles and other problems such as these cannot only cause your car to be unsafe at high speeds but will also cause it to use more gasoline. Your car’s air filter is incredibly vital not only to the health of the car itself but also to the amount of gasoline that you use. If it’s clogged with bugs, dust dirt and other debris it will cause your engine to work much harder and lower your fuel-efficient efficiency. Having it checked and, if needed, replaced before you leave is an excellent idea. In many cases you can improve your cars mpg by improving the type of motor oil that you’re using. When you’re having your car serviced ask your mechanic what type of oil is best for the type of car that you have, this can actually save you upwards of 5% on your fuel usage. Summer means long, hot days and, if your car is going to be sitting in the sun, you’re going to use a lot more energy when you get in and start up your air-conditioning. With that in mind it’s a good idea to get a windshield shade to help block out some of that sun, reduce the heat in your car and reduce the amount of air-conditioning that you need. Unless your cards manufacturer recommends something higher, use regular octane gasoline and save money. After selling your car’s tank, it’s vital that you make sure that the gas Is tightened correctly so that gas won’t evaporate or spill. Indeed, loose, damaged or missing gas caps are to blame for the loss of literally millions of gallons of gasoline every year. Waiting until your car’s gas tank is almost empty to fill it again is an excellent idea as you’re going to be hauling a lighter load and extending your MPG. Many people believe that this is an unwise choice as sediment in your tank may get sucked into your fuel intake system and damage your car’s engine. Unless your car is extremely old the chance of this happening is practically nil. There are plenty of gas stations that offer credit cards with rewards as well as some department and grocery stores. If you don’t have one, and you’re the type of person that pays off their credit cards every month in full, you may wish to consider getting one and saving a few extra pennies per gallon. If you’re the type of person that always goes for the best brands, you may wish to change your habits when it comes to purchasing gasoline. The fact is, all of them use the same refineries, the same trucks and the same pipelines to produce and transport their product. When it comes to gasoline, find the cheapest gas station and by your guest there. Never buy your gasoline from a gas station that is located right along the highway. Travel a few extra miles into town and you’ll find that the gas there is usually 10 to 12% cheaper. On the other hand, if you are in the city (any city) and your need of gas, purchasing it from the nearest gas station is your best bet as driving around in stop and go traffic will certainly negate any savings that you might have by finding a station that’s a little bit cheaper. We hope that you enjoyed part one of our three-part blog series on gas saving tips. Using these tips will definitely save you a good bit of gas and money and, when you have a moment, coming back for part two and part three will save you even more. See you then. What are engine stop-start systems and do they work? Although practically impossible to calculate exactly, literally millions of gallons of gasoline are wasted every year due to one thing; idling cars. Not only do we waste an immense amount of gasoline while we’re stopped at traffic lights or stop signs but we’re also putting a ton of extra emissions into the air. Suffice to say that experts have been trying to figure out a way around both of these problems for quite a few years and, with the new stand-alone engine stop-start systems that are now being used in some new cars, they have gotten us a step closer. The new system actually shuts down a car’s engine when it comes to idle and, as soon as the driver hits the accelerator or lifts their foot off the brake or clutch, it immediately starts the engine back up. It’s not exactly a new technology, to be sure, as it can be found in practically every conventional hybrid automobile on the market, but it is new to conventional cars. The new system is slowly beginning to appear and, by 2015, experts predict that 40% of all cars and light trucks sold in the United States will be equipped with a stop-start system. The main objective is to cut down on wasted gas, obviously. As it stands, the new systems can reduce gas consumption by approximately 3 to 10%. The reason is that they eliminate idling, something that as mentioned before wastes an immense amount of gasoline. These systems deliver their best fuel economy improvements when they’re used in city driving situations that involve a high amount of stopping and starting. The good news is that it seems they can do it for a relatively low cost. For example, Ford Motor Company is now offering its first stand-alone stop-start system at a price of just under $300. When you consider that a fully functional hybrid system can tack on up to $6000 to the price of a car, you can see why there are many advocates of this new system. In real-world numbers a $300. stop-start system investment would pay for itself in approximately 3 years. There are a number of $300 systems that are touting 10% fuel economy boosts, a difference that means the system would pay for itself in approximately 13 months if you take into account gas being $4.00 a gallon. The new stop-start systems are run by a computer program of course but the driver, and the way they use their accelerator and brake pedals, determine how they function. When a person depresses their brake pedal it sends a signal to the computer program and its engine controller. As soon as a car comes to a complete stop this controller will shut the engine off as well as pre-positioning the starter motor, transmission and also the fuel injection system so that, when the driver releases the break or presses the accelerator, the engine’s ready to instantaneously restart. This usually happens within less than half a second. There are a number of downsides to be found with the new system however. For example, when most car’s engines turn off the air conditioning and or the heating system stop functioning as well because they need a lot of electricity. When the car’s engine is off it doesn’t generate sufficient power to keep them going. Some drivers also find it a little bit disconcerting that the engine turns off every time they stop. There have also been some complaints, especially about the system from BMW, that they cause unexpected starts and stops when the engine starts and stops. It’s for this reason that many stand-alone stop-start systems come with the ability to be turned off and on at will by the driver. As with all technology this newest automobile technology will certainly need to be refined and all the bugs sorted out. That’s good because it’s is estimated that, by 2020, 10 million new cars per year are going to be made using the new system. Even though it might not be perfect yet, the fact is that these new start-stop systems may well save billions of gallons of gasoline a year as well as helping to greatly reduce damaging automobile exhaust emissions. No matter how you slice it, that’s pretty good news. In our continuing effort to bring our readers the most up to date tips on saving money at the gas pumps we’ve put together a new blog with some more tips, advice and ideas that are sure to help reduce the sting of filling up your car’s gas tank. Since gas prices seems to be going up every five minutes we figured that instead of the usual fun banter we get right into it. Enjoy. Most experts will tell you that it pays to accelerate at a moderate rate of speed. Most math teachers will also remind you that the basic law of physics, that force = mass X acceleration, will work in your favor if you do a little bit of offensive driving and lay off of the brakes. (And by offensive we don’t mean that you use your horn constantly or give people ‘the finger’.) Simply put, if you use your car’s acceleration to bring you to a traffic light rather than usual breaks and then accelerate and then use your breaks and then accelerate again, etc. etc., you will definitely save gas. The reason is that you won’t lose your acceleration and waste it on the friction that your breaks cause. Indeed you can easily get 10 to 20% better gas mileage by keeping your foot off of the gas pedal and letting your car’s momentum carry you to a stop sign, stoplight or whatever. Keep in mind that by the time you actually reach the point of having to stop, if you’ve done it correctly, you should not have to jam on the brakes. Some hybrid car owners may disagree with this as hybrids have the interesting ability to be able to convert braking power into electrical energy and then store that energy in their batteries. While this is certainly true, if you need to decelerate to fast you will still lose a ton of energy and will have to use even more to power yourself to the point of eventually having to stop. You’ve probably heard about not using your air conditioner to save money on gas and, while this might be true in some cases, if you live in Arizona, Nevada or other areas of the country where the heat can be oppressive it just doesn’t make sense to turn the AC off, especially during the middle of the day. What you can do however is park your car in the shade, in your garage or in a parking garage during the day if possible. Also, when you first get moving, open the windows for a few minutes and get the hot air out of your car so that the a/c doesn’t have to work as hard or as long to cool the interior down. One last thing that you can do is turn you’re a/c off 5 to 10 minutes before you arrive at your destination to save a little bit more. If you do a lot of highway driving one of the best ways to increase your mileage is to draft behind a larger car, truck or bus. This takes a bit of skill and definitely all of your attention but it is one of the best ways to increase your mpg on the highway because it cuts down on wind resistance greatly. One caveat; don’t tailgate in order to do this because that’s not only rude but dangerous. If you own a pickup truck and it doesn’t have a cab you might consider putting the tailgate down as well to cut down on drag. If it’s not brutally hot or cold out you may find the temptation to open the windows, especially around town, a big one. We suggest that you don’t only because the extra turbulence can cost you fuel. Better to use your car’s ventilation system instead and save gas. Many people are still in the habit of changing their cars oil every 3000 miles. While this certainly isn’t bad for the car the fact is that most oils and most cars will be just fine up to 5000 miles. While it might not affect your MPG greatly it certainly will cost you less and oil changes over the life of your car. Are you going to be renting a car while you’re away on vacation or a business trip? If so, and you are not going to be taking other people or trying to impress anyone (and it’s possible you may) we would suggest that you rent a smaller, economy car then a bigger, more luxurious but more wallet damaging gas guzzler. The fact is, you could save enough money on gas by using a smaller car on vacation that you might be able to upgrade your hotel room or afford a couple of extra fancy meals. One last tip that we have is one of the best; don’t fill up at any gas station near the highway. Usually that’s where the gas prices are the highest. Find one in town or, if you’re on the highway, drive a few miles away to find a cheaper price. The smartphone app ‘GasBuddy’ can help you locate the best price around.